As you arrive in Scotland the gently rolling countryside of the Borders will lead you to many hidden gems. It is a fascinating area of small villages and towns each having examples of their history in their houses, parkland, burial grounds and Abbeys. A delightful way to start your journey in Scotland. century for Patrick Home, the then Laird of Wedderburn. It was designed by John and James Adam and is an excellent example of their work. Located near Berwick on Tweed, Paxton houses a wonderful collection of furniture including examples of Chippendale. The art collection is also superb, with paintings by Raeburn, Wilkie and Lawrence. The children's nursery is charming . 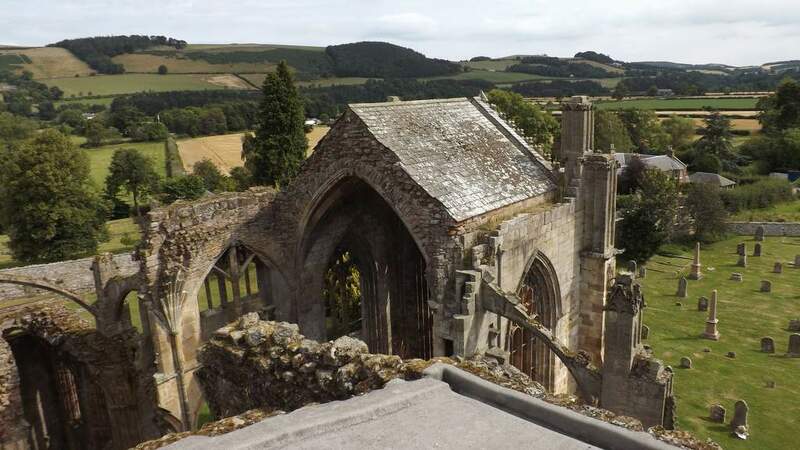 Located in the town of Melrose, the ruins of the Cistercian Abbey are a magnificent example of ecclesiastical architecture. Founded in 1136 by King David, the Abbey was funded by the proceeds of the wool trade. It was in continuous use until the Reformation in 1560 although the last of the monks lived on in the abbey until 1590. 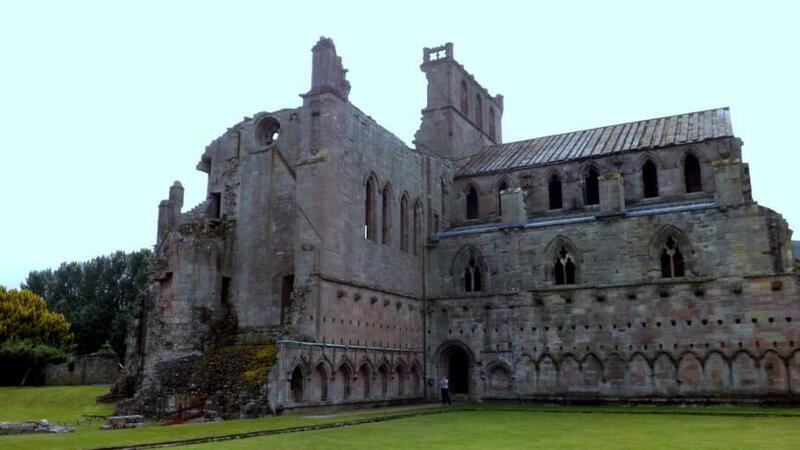 Melrose Abbey is the burial site of the heart of Robert the Bruce. century carvings and artifacts which can be see in the visitor centre. Jedburgh Abbey was frequently the target for invading armies from the south. Mellerstain is located about 8 miles north of Kelso. It is the stately home of the Earls of Haddington and was built in two phases. The east and west wings were completed in the early 1700s, however the main mansion house itself was built almost 50 years later and was designed by Robert Adam. The house has wonderful delicate plasterwork throughout and the main drawing room still has it's original silk wall hangings.